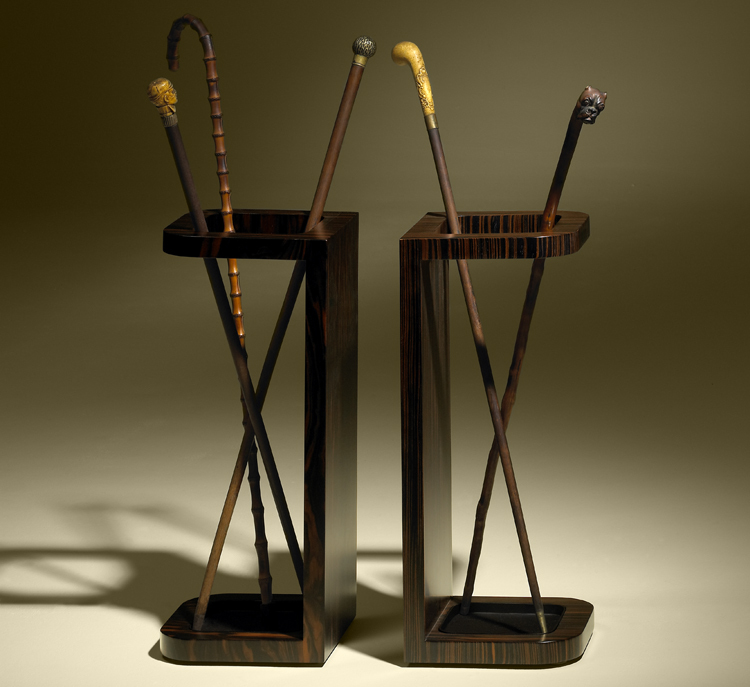 Umbrella stand in variety of wood species and finishes. As shown are two single combined. Single: 10" sq. x 23.5"H., Double: 20" sq. x 23.5"H.
Beechwood, ash, partridge eye, mahogany, goibawood, ironwood, mutene, walnut, oak, wenge, ebony, zebra, rosewood, lignum vitae, ebony.